Alan Titchmarsh MBE – the well known gardener, novelist and television broadcaster – will present the coveted prizes for this year’s International Concours d’Elegance at the Regent Street Motor Show (Saturday 3 November). While best-known for presenting hugely popular TV programmes such as Gardeners’ World, Ground Force and Love Your Garden, Titchmarsh is also a renowned classic car enthusiast. His first such acquisition was a 1928 Morris Cowley and today he owns a 1929 Bentley Le Mans 4.5-litre and a fully restored 1963 Jaguar E-type. Fuelling this love of old cars, the 69-year-old Yorkshireman joined the International Concours d’Elegance judging panel in 2017 and this year will be presenting the seven category winners – and overall winner – with their esteemed prizes. As a curtain-raiser to the following day’s staging of the famous Bonhams London to Brighton Veteran Car Run supported by Hiscox, more than 100 extraordinary veteran cars from pre-1905 have entered this year’s International Concours d’Elegance and will be displayed within the Regent Street Motor Show, a glittering free-to-attend car-themed event which last November attracted more than 520,000 visitors. 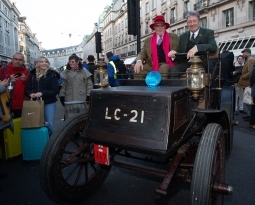 Adding to the spectacle, the pioneering machines are driven to and from the dedicated Bonhams Veteran Car Zone at the start and finish of the show with many of the owners wearing period dress. This year’s list of contenders dates back to an 1893 Peugeot Vis-à-Vis, movie star Genevieve as well as several significant never-seen-before new entries. These debutants include the innovative c1903 Vabis from Sweden and the handsome 1904 Premier from Indianapolis in the US. All the vehicles will be judged by a panel of experts including Titchmarsh and fellow TV personality Edd China with prizes awarded for a number of categories including Best Period Motoring Attire, the Best Original/Unrestored Veteran Car, the Judges’ Overseas Award and, of course, the International Concours d’Elegance Overall winner. There’s also a public vote for the Spectators’ Choice Award. Giving the prize giving more prominence, a special Winners’ Enclosure is being introduced for the very first time. 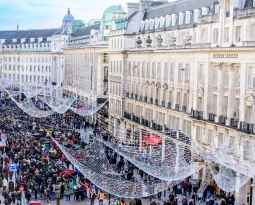 This will be located adjacent to the New Burlington Street junction with Regent Street and is where Titchmarsh will be handing out the prized awards between 14:45 and 15:15 on the afternoon of Saturday 3 November. The dazzling Concours d’Elegance is just one of the many crowd-pleasing highlights at Britain’s most popular motor show – an event which showcases the future as well as celebrating the past at London’s premier shopping destination, pedestrianised for the day between Piccadilly and Oxford Circuses. 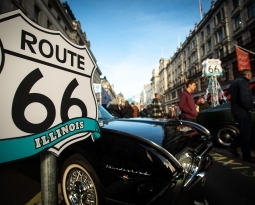 Once again the hundreds of thousands of visitors will be treated to cars from all eras. Memorable passenger rides on a number of remarkable veteran cars will be available on the day to those following the event’s social media channels in advance. Other stand-out attractions already confirmed are gatherings of iconic classics from invited motor clubs, interactive displays, plus live music ensuring there is something for all ages and interests between the opening hours of 10:30 to 16:00. 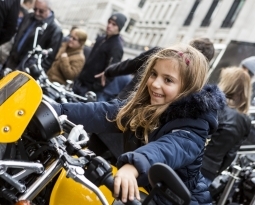 The Regent Street Motor Show and the Veteran Car Run are major events in the week-long annual London Motor Week held by the Royal Automobile Club.